Beckenrose Townhomes is a New Condo Townhome development by Daniels located at Rising Hill Ridge and Beckenrose Court, Brampton. Celebrated community developer, The Daniels Corporation does it again with another beautiful FirstHome Community in Brampton, Ontario. Located at the corner of Rising Hill Ridge and Beckenrose Court, this neighbourhood surrounded by incredible amenities and lush parks offer residents everything they need at their fingertips. Beckenrose Townhomes is ideal for anyone looking for a perfect combination of city conveniences and a leafy suburban escape. Situated on the border of Mississauga and Brampton, this development is easily accessible to it all. Residents of Beckenrose Townhomes are just minutes from Hwy 407, 401 and 410. A short drive away is the Brampton Gateway Terminal that will be the transit hub for the Hurontario LRT which will make travelling around the GTA a breeze! Many convenient transit options nearby add to the appeal of Beckenrose Townhomes. Daniels Corporation offers quality-built homes in excellent locations at exceptional prices and with unprecedented programs to help make homeownership more attainable. Buy with only 5% down with the Gradual Deposit Payment Plan or join the Down Payment Assistance program, First Home Boost! Contact me for all the updated pricing and incentives offered by Daniels!!! Why fork over an $80-100,000 deposit when you can buy with just a 5% deposit? With our popular Gradual Deposit Payment Plan, you pay $3,500 upon signing your Agreement of Purchase and Sale, an additional $3,500 10 days after purchasing your new home, then $1,000 each month toward your deposit until you reach 5% of your purchase price or final closing. At final closing the balance of your purchase price is required. 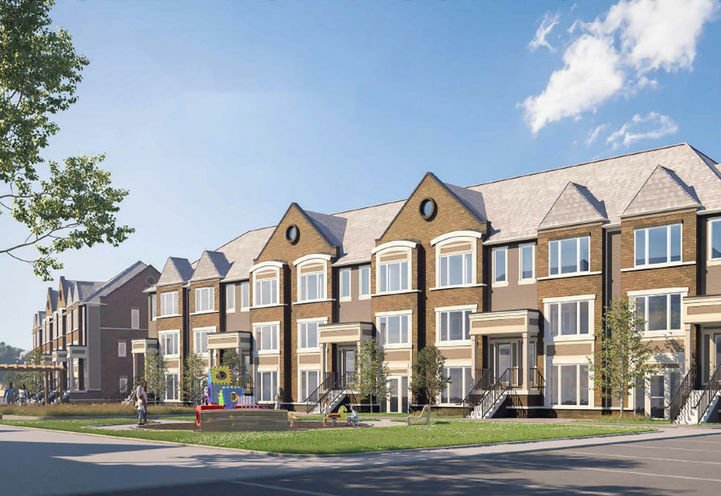 Beckenrose Townhomes is a new Brampton Condo in the Bram West neighbourhood by The Daniels CorporationP0RPO.